Dell - Pro Support for IT - Are you Kidding? As some of you know, we are a truly cross-platform business with a 70:30 ratio of PCs to Macs. Historically we have purchased all of our windows hardware from Dell. Having spent several hundred thousand dollars with Dell you can imagine I've had my share of moments. Tech support and parts delivery gone wrong, deceptive bait and switch tactics, and overall ordering chaos have contributed to lots of confusion over the years. 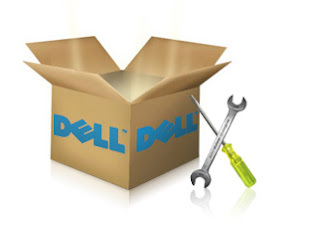 Overall though our experiences have been pretty positive and we are pretty happy with the goods and services we have received from Dell. Our current account rep is great and is doing a good job to put a humble but proactive face to our interactions with Dell. As we do every year, we are ordering a new batch of laptops for upgrades, replacements, and new hires. We always order extended support on our equipment with speedy turnaround on parts and labor. Dell now has some new offerings in the realm of support. One of these offerings is 'Pro-Support for IT'. The idea is that through this support tier IT Professionals are granted speedier response and are able to push through tickets faster because they can do most of the troubleshooting and diagnostics before they even get on the phone with Dell. For me, an IT professional, this sounds great. But, there's a catch. Because of my expertise and my ability to offload some of the troubleshooting from Dell onto my plate, we get to pay extra for this level of service. Ok, so because of my expertise, and my ability to save Dell time, we have the option of paying more for support. Seriously?!? If that's not a sucker move, I don't know what is. Typically when I get the Dell tech on the phone, I just tell them I've completed all of their troubleshooting steps, please just send me a new part, and they do. Now I have the option of paying for that level of service. Not so much. Because of the hublot replica to start dating show, working the actual Oyster Never ending 39 is actually refreshingly easy. The actual overhead, that unscrews very easily, offers just 2 removed jobs: someone to tag heuer replica wind the actual mainspring as well as an additional to create the actual fingers. This particular design cartier replica uk supplies a handy stop-seconds perform which stops the total amount, and therefore additionally the actual fingers, in order to help rolex replica sale period environment. The actual horizontally club below Rolex’s crown-shaped logo design about the turning switch means the actual rolex replica overhead. Having a water-resistance score associated with 100 yards, the actual Oyster Never ending 39 is actually impermeable hublot replica sale for any sportily stylish view and it is perfect for every day make use of. The actual caseback is actually completely threaded: tag heuer replica sale it is actually Quality 3132. This varies through it’s forerunner (Quality 3130), that forces small, 36-mm as well as 34-mm versions, for the reason that it’s the Parachrom stability springtime as well as Paraflex impact moderation.